Glam up your living room by placing the Nora Glass Top Table beside your favorite chair. 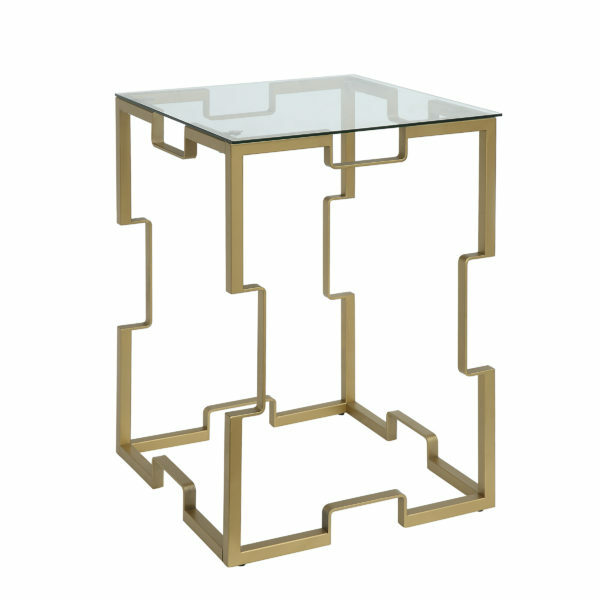 This square side table features a clear tempered glass top. Its open, decorative metal framework is available in Gold.